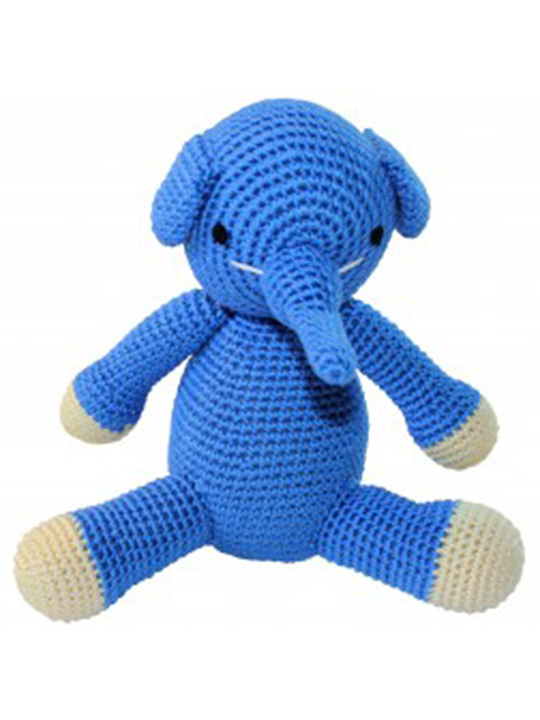 Made from soft bamboo yarn which has a silk-like texture and is hand washable. 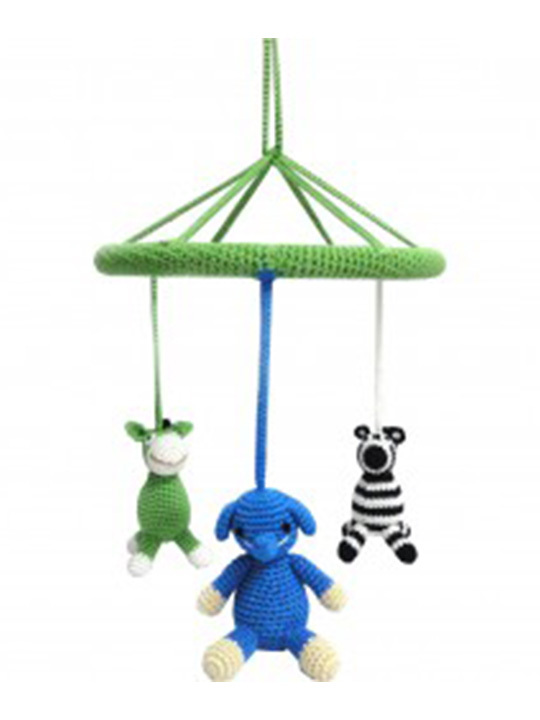 This beautiful hand crocheted mobile will brighten any nursery. 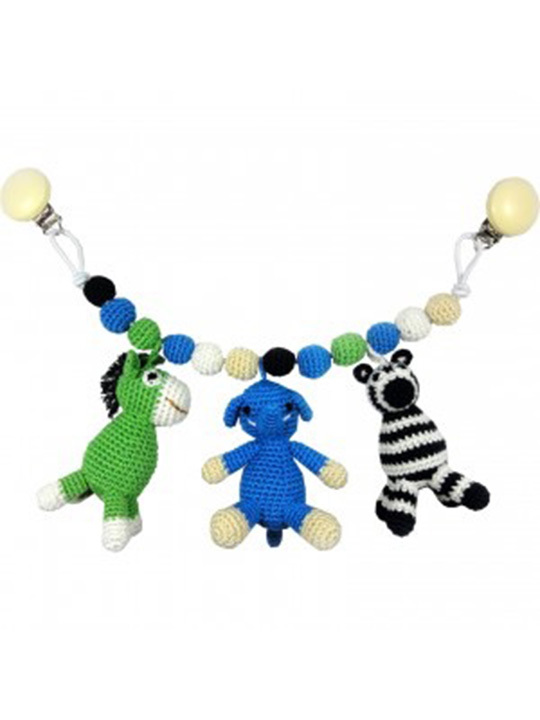 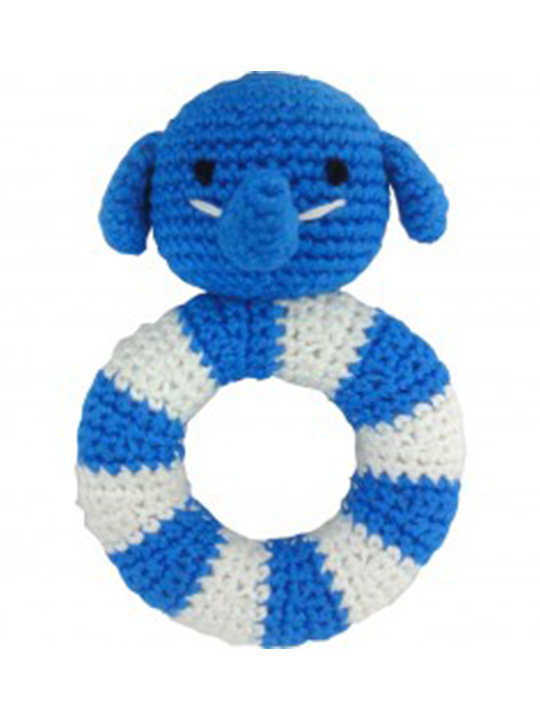 Each animal has a gentle rattle to keep baby entertained for hours.